Using the Glebar GT‐610‐CNC to infeed grind the shape of the inner tube, we were able to maintain a +/‐ 0.0002” tolerance on the tip dimensions. At the same time, we ground 3 diameter features to within 0.0002” per diameter, maintaining a TIR of 0.0001” and producing a smooth 9 Ra surface finish on 304V Stainless steel with a +/‐0.001” wall thickness. We removed 0.012” in stock for the majority of the part and 0.004” off the tip geometry. 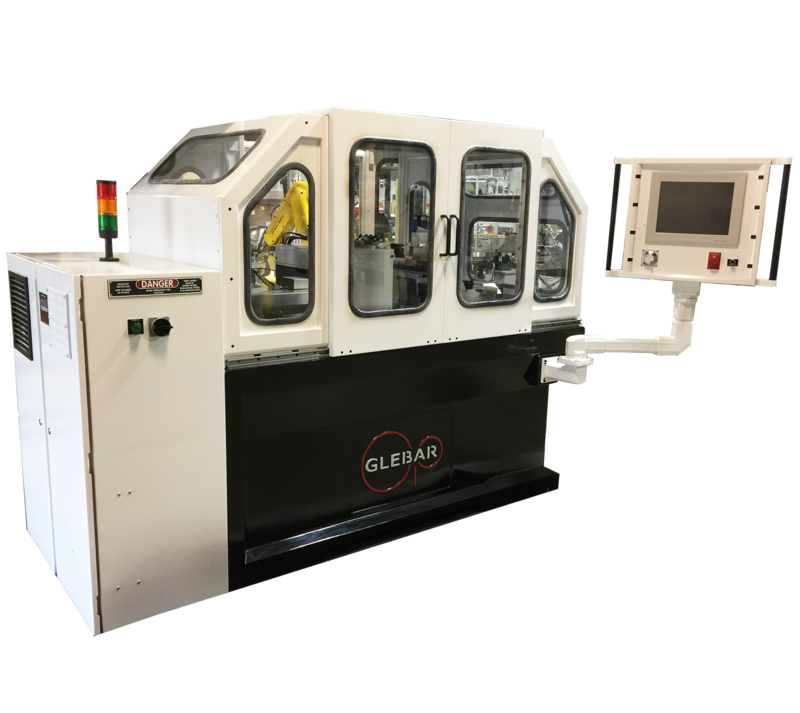 The entire fully automated process was done in under 20 seconds, adjusting f or part length variation, heat expansion, and a near zero tip geometry requirement. The Glebar process vastly reduced previous scrap rates due to tip geometry imperfections, as well as eliminated an extra step in the previous manufacturing method which left unacceptable tool marks on the surface. Minimum gap between assembled parts to prevent debris getting caught between the surfaces. Able to maintain a +/‐0.0002” tolerance on the tip dimensions.